Ethan Couch, the "affluenza" teen who killed four people in a drunken driving crash but dodged prison after suggesting at trial that his irresponsibility was a result of his entitled upbringing, walked free Monday morning after serving almost two years in county jail on a parole violation. Couch, now 20, was silent as he left the Tarrant County and got into his attorney's car. It was not immediately clear where Couch went after leaving jail. Couch's attorneys, Scott Brown and Reagan Wynn, issued a statement Monday saying Couch has always been sorry for what he did. "From the beginning, Ethan has admitted his conduct, accepted responsibility for his actions, and felt true remorse for the terrible consequences of those actions," they said, adding that he will serve the remaining six years of his community supervision under the terms imposed by the court. Those terms included a GPS-enabled ankle monitor that will track his location and monitor him for alcohol use, a curfew that will keep him at home between 9 p.m. and 6 a.m. and regular drug tests. If Couch violates the terms of his probation, he could face six years in prison. A juvenile court judge initially drew widespread criticism after sentencing Couch to 10 years of probation. 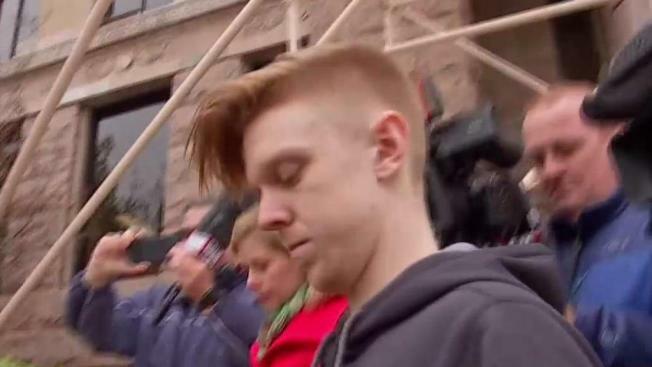 An expert defense witness testified Couch suffered from “affluenza” – being so spoiled by his wealthy parents that he didn’t know right from wrong. On June 15, 2013, the then-16-year-old was driving drunk and under the influence of marijuana and Valium when he slammed into a group of people who had stopped to help a disabled driver along Burleson-Retta Road in south Tarrant County, Texas. The crash occurred after Couch had stolen beer from a nearby discount store, police said. In addition to the four killed, nine were injured, several critically. The case had disappeared from the national spotlight when Couch was caught on camera in 2015 apparently drinking at a party. The video had been posted on social media. He and his mother Tonya fled to Mexico. They were arrested in the resort town of Puerto Vallarta and extradited back to Fort Worth. Tonya Couch was charged with hindering apprehension of a felon and money laundering but released on bond. Just last week, she returned to jail after failing a drug test, prosecutors said. Mothers Against Drunk Driving said in a statement it’s a “small consolation” that Couch will remain on probation. “Two years in jail for four people killed is a grave injustice to the victims and their families who have been dealt life sentences because of one person’s devastating decision to drink and drive,” the statement said. Tarrant County Sheriff Bill Waybourn said he doesn’t agree with Couch’s “affluenza” defense.